I made this dinner twice last week and again tonight. 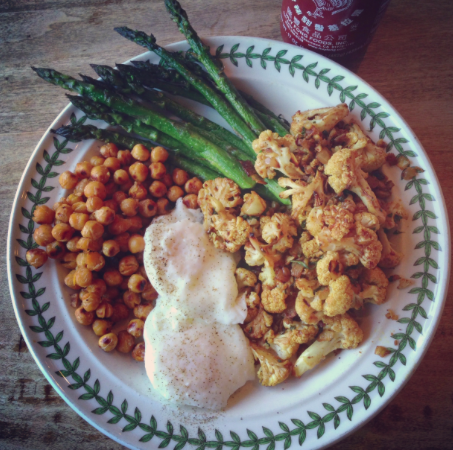 It is so flavorful, satisfying and healthy. My friend Marly made Sprouted Kitchen's Power Green Salad last night and brought me leftovers. I just ate it for lunch and it was so good. 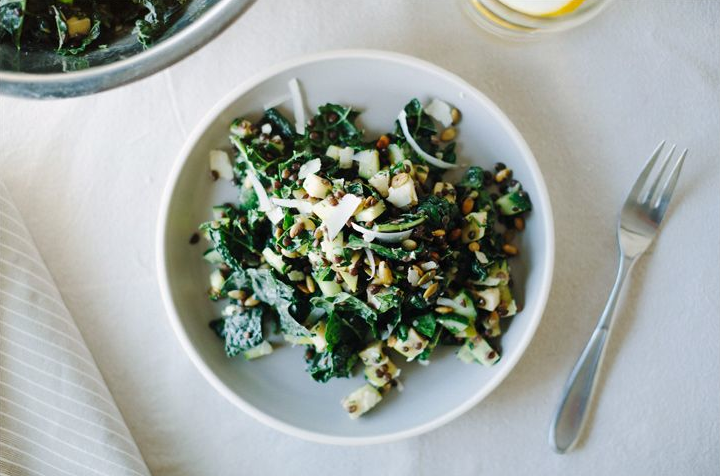 Great salad for leftovers too because the kale can stand up to the dressing and doesn't get soggy. I served with fresh green juice, Siggi vanilla yogurt and toast with tahini and fig spread. Perfection! 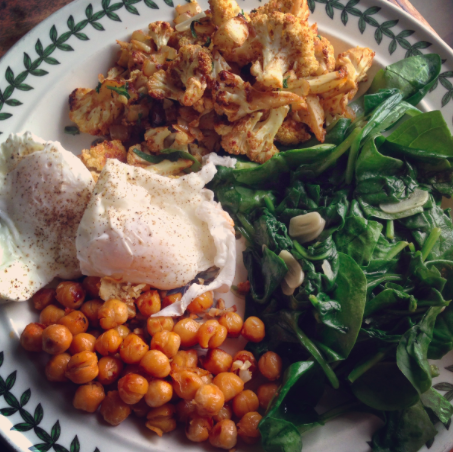 My friend Marly made this recipe for Spicy Roast Cauliflower & Chickpeas last night and it was delicious. She served with a delicious honey mustard chicken dish (recipe coming soon). It was a perfect dinner and leftovers were equally delicious today. My kids don't like broccoli tops so I feed them the stalks and end up roasting the tops for myself. Since I'm obsessed with quinoa salads I thought I would use the roasted broccoli for a new salad. My friend Marly and I came up with this creation and it was delicious. Next time I might add some lemon zest as well. 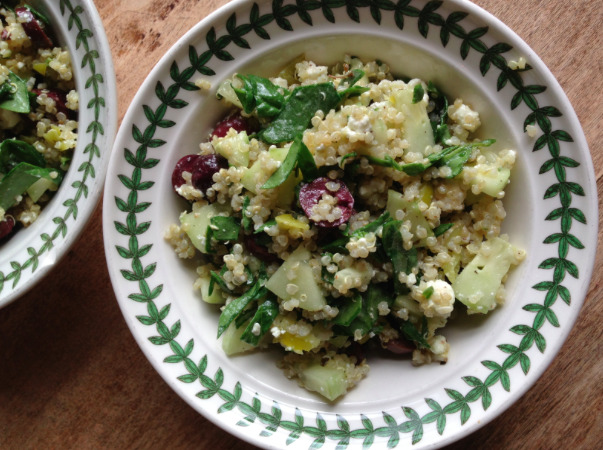 I've been experimenting with lots of quinoa salads lately. Here is one of my favorites. I use a lot of spinach so it feels super healthy. I chop it up and stir it in so you don't get any bites that are overloaded with raw spinach. 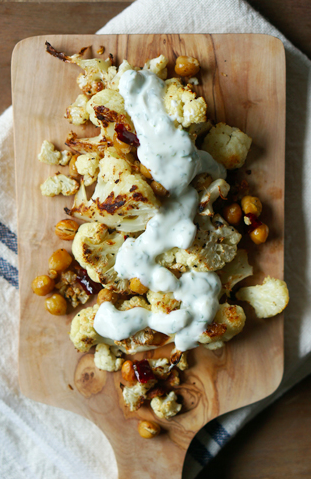 This is great for lunch or as a side salad for dinner. I like making healthy things unhealthy and making unhealthy things a bit healthier. This is a good example of both. I made the broccoli less healthy by sandwiching it between white bread and melted cheese. But I made a classic grilled turkey and cheese more healthy by adding broccoli. 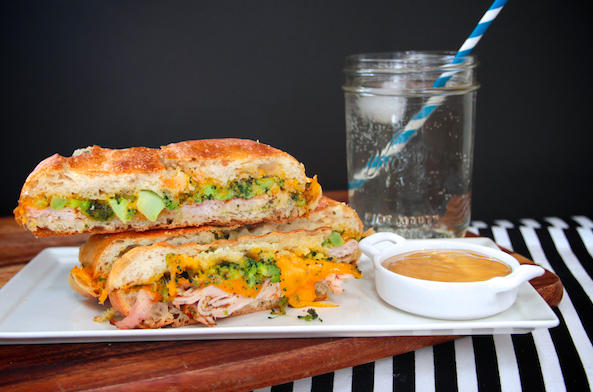 I was inspired by this recipe for a Turkey, Broccoli, Cheddar Panini. It was insanely good. I used Essential Bakery Columbia for the bread. Honey mustard for dipping is a must. Such a good flavor combo.